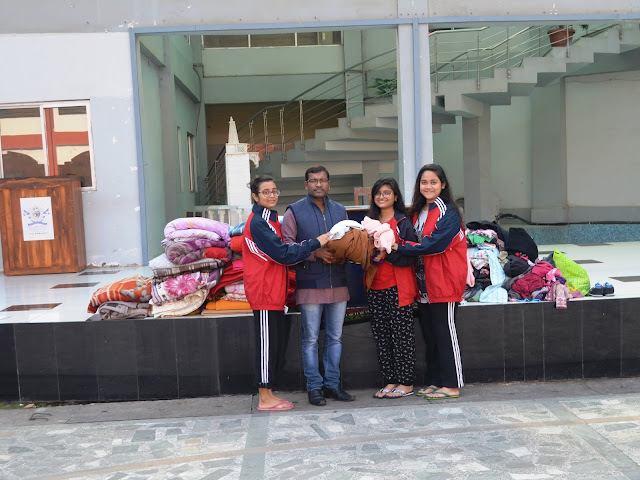 Sidhartha Sen Gupta, Award Leader from Miles Bronson Residential School, Guwahati, Assam shares a report on the blanket donation programme by the Award participants of the school. “Service to man is service to God!” With the advent of winter when early mist and cold slow our daily activities, there are many under-priveleged people who are at the mercy of all under the open sky! Nature responds to the cold and even the birds look for warmth and shelter. Amidst this cold, when we prioritise our responsibilities towards the people around us, we also fulfill our life’s mission. This is the opportunity that IAYP participants get by their involvement in different activities. As IAYP is a life-enriching programme, we feel fortunate that on 11th December 2016 Sunday, we organised a ‘Blanket Donation Programme’ for the roadside dwellers of our city. It’s heartening to mention the response was hundred percent, with the presence of non-IAYP students and teachers too. And our next venture is to ensure the distribution of the collection in coming days.